Cerfa presents the MCFA Career Workshop 2017! We started the year with renewed energies and we are very proud to be able to offer you the first activity of the year. 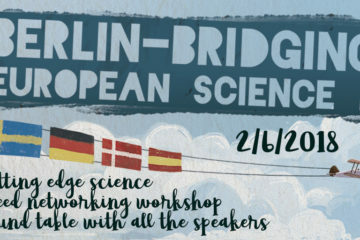 For more than 20 years, the Marie Curie Fellowship Alumni has organized a Career Workshop involving scientists from all over Europe. This year's workshop will be soft skills. We will learn how to interpret job offers ads and prepare for interviews. We will experience storytelling to improve our skills when it comes to transmitting scientific information. We will learn how to make networking a real impact on our careers. 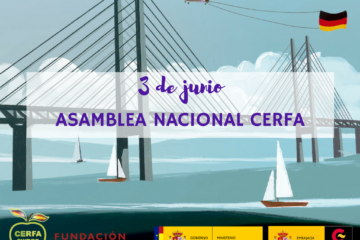 CERFA participates as a sponsoring entity, so members to the current payment of the annual fee can attend this event for free. The other participants will have to pay €40 when registering. The event will be on February 18 at 9:00 at the Haus der Universität of the Heinrich Heine Universität in Düsseldorf.